In what turned into a dramatic finale in all three classes to finish the 2017 European Le Mans Series season, GRAFF Racing’s #40 ORECA of Richard Bradley, Gustavo Yacaman and James Allen took their second win of the season out front in the 4 Horus of Portimão. Behind, the #22 G-Drive Racing by DragonSpeed ORECA, by finishing fourth, sealed the ELMS LMP2 Teams title, with the full-season duo of Léo Roussel and Memo Rojas crowned as Drivers Champions as part of the effort. It was a strong showing from Roussel at the start, Rojas during the middle of the race and their third driver Ryo Hirakawa at the end, the trio in the top three throughout, before slipping down the order towards the end. The G-Drive team just had to finish in the top five to win the title, and by running a steady race, it did just that, scoring G-Drive Racing its second straight title in the ELMS. 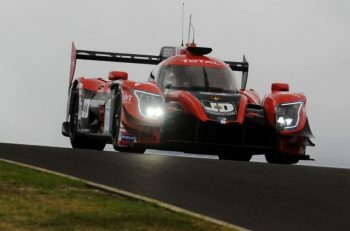 The LMP2 championships were effectively sealed in the third hour. The United Autosports Ligier – which had to win the race and see bad luck strike G-Drive to win the title – led the race early, Hugo De Sadeleer putting in a head-turning stint at the start climbing from fifth to first, before giving the team a healthy lead. The car would stay in the top three for almost the entire race, mainly challenged by the GRAFF ORECA Ligier JS P217. 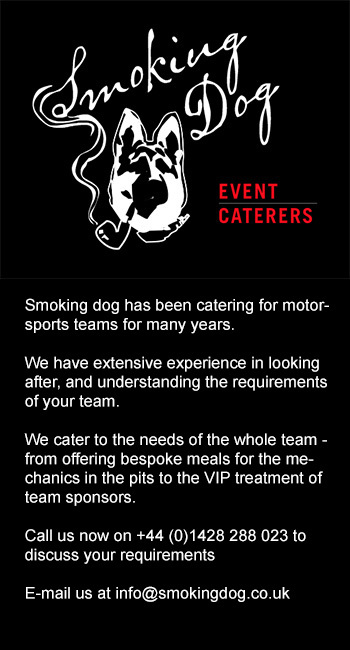 But their title hopes took a real dent when they had to serve a 55 second stop-go penalty for speeding in the pit lane while it held the lead. 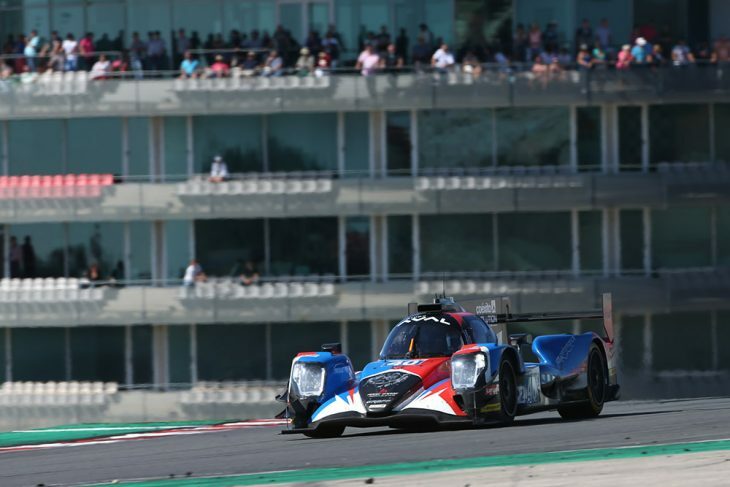 The Anglo-American team therefore lost its comfortable margin out front, and slipped down the order to third, eventually finishing second after Filipe Albuquerque made a move in the final minutes on the SMP Dallara which completed the podium. Behind the G-Drive Racing by DragonSpeed ORECA, in fifth, was the Cetilar Villorba Corse Dallara, which had a strong showing but faded late, a top five finish though, was still a good result for the team. In the LMP3 class, United Autosports had much better fortunes, taking a 1-2 in the final round of the season and scoring the LMP3 titles. The #3 Ligier JS P3, driven by Mark Patterson, Wayne Boyd and, taking the final stint, Christian England, crossed the line just 11.769 seconds ahead of the #2 entry with the all-American driver line-up of John Falb and Sean Rayhall. Taking the final podium position was the #18 M.Racing-YMR Ligier piloted by Alexandre Cougnaud, Antoine Jung and Romano Ricci. The early pace in the LMP3 class was set by the pole-sitting #9 AT Racing Ligier JS P3 in which Mikkel Jensen took the opening stint, followed by Alex Kapadia in the #15 RLR M Sport Ligier and the #6 360 Racing entry with Ross Kaiser at the wheel. By the mid-point of the four-hour race, the #9 AT Racing entry, now with Alexander Talkanitsa Sr at the wheel, remained in the lead of the class. However Sean Rayhall, driving the #2 United Autosports entry, had climbed from the back of the field up to second place with the team’s closest class championship rivals, the #18 M.Racing-YMR entry with Romano Ricci driving, in the third place. With 50 minutes remaining, it was the two United Autosports entries that found themselves heading the class field, with John Falb at the wheel of the #2 entry leading Christian England in the #3 car. The #9 AT Racing Ligier was in third but was given a drive-through penalty for track-limit infringements, demoting it to seventh in class at the finish. England passed Falb and, at the chequered flag it was victory for the #3 United Autosports entry, the first victory for Patterson, Boyd and England in 2017 and its best result of the season since its third-place finish at Silverstone In April. Sean Rayhall was delighted to have clinched the LMP3 championship. The GTE class was won by the #77 Proton Competition Porsche 911 RSR piloted by Christian Ried, Joël Camathias and Matteo Cairoli, 8.586 seconds ahead of the second-placed #66 JMW Motorsport Ferrari F488 GT3 of Robert Smith, Jody Fannin and Will Stevens in what turned out to be a topsy turvy race in the final race to decide the championship. Completing the top three in the LMGTE class was the #90 TF Sport Aston Martin V8 Vantage with the driver line-up of Salih Yoluc, Euan Hankey and Nicki Thiim. With its second place, JMW Motorsport won the LMGTE Teams and Drivers Championships by two points, finishing on 104 points to TF Sport’s 102 points. Victory at the final round meant that the #77 Proton Competition entry finished third in the LMGTE Teams Trophy on 80 points. Aaron Scott led the GTE field away from the grid in the #55 Spirit of Race Ferrari F488 GTE following teammate Matt Griffin’s determined pole position set the previous day. Scott was soon passed, however by Joël Camathias in the #77 Proton Competition. By the end of the first hour it was Camathias who led the GTE field with Duncan Cameron, now in the #55 Ferrari in second and Rob Smith in the #66 JMW Motorsport Ferrari in third. Rob Smith handed the #66 Ferrari over to Will Stevens, driving in his second European Le Mans Series race for the team, who took the class lead at the half-way point in the four-hour race. Jody Fannin took over the car for the final hour but was denied the class victory by the #77 Proton Competition Porsche, now with Matteo Cairoli at the wheel. The #90 TF Sport Aston Martin V8 Vantage, piloted by Salih Yoluc, Euan Hankey and Nicki Thiim had struggled throughout the weekend to find the pace it needed to clinch the LMGTE championship. 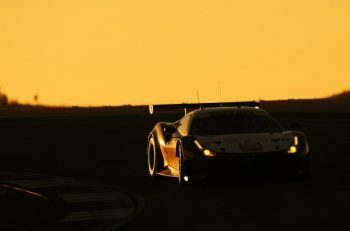 Danish-driver Thiim brought the car briefly up to second place as the race entered its final hour but the Surrey, England-based team had to settle for third place in the race and second place in the 2017 LMGTE championship despite the team’s best efforts. The win for the #77 Proton Competition Porsche was the team’s first victory of the season and its best result since it took second in class at Silverstone in April.